February 1, 2019 , Auburn Hills, Mich. - FCA US LLC said today January U.S. sales rose 2 percent to 136,082 vehicles compared with sales of 132,803 vehicles in January 2018. Retail sales for the month were 104,290 vehicles while fleet sales totaled 31,792 vehicles and accounted for 23 percent of total sales during the month. Sales rose 24 percent to 39,649 vehicles. Pickup truck sales jumped 19 percent to 34,889. This was the first January the new Ram 1500 was available in dealer showrooms. Despite extreme weather across the Midwest and Northeast – two key regions for Jeep – brand sales slipped only 2 percent to 58,401 vehicles. The Wrangler set a new record for January as sales finished at 13,024. The Jeep Compass also set a January record with sales of 10,298 vehicles. Sales fell 2 percent to 27,077 vehicles. Sales fell 14 percent to 9,054 vehicles. Sales fell 39 percent to 751 vehicles. Sales fell 30 percent to 1,150 vehicles. The Ram brand was the highlight in what is typically a slow month for the truck industry. Sales climbed 24 percent. It was the highest January ever eclipsing the last record of 38,045 vehicles set in 2017. This is the fifth-straight January of sales above the 30,000 mark for the Ram brand. The North American International Auto Show helped generate some consumer buzz for the brand as the Ram 1500 took home the title of North American Truck of the Year, beating out the Chevrolet Silverado 1500 and GMC Sierra 1500. Ram also used the show to unveil its redesigned 2019 heavy-duty 2500 and 3500 pickup trucks. Sales to retail customers by dealers in the U.S. are derived from the New Vehicle Delivery Report (“NVDR”) system and are determined as the sum of (A) all sales recorded by dealers during the month net of all unwound transactions recorded to the end of that month (whether the original sale was recorded in the current month or any prior month); plus (B) all sales of vehicles during that month attributable to past unwinds that had previously been reversed in determining monthly sales (in the current or prior months). Fleet sales are recorded upon the shipment of the vehicle by FCA US to the customer or end user. Other retail sales are recorded either (A) when the sale is recorded in the NVDR system (for sales by dealers in Puerto Rico and limited sales made through distributors that submit NVDRs in the same manner as for sales by U.S. dealers) or (B) upon receipt of a similar delivery notification (for vehicles for which NVDRs are not entered such as vehicles for FCA employees). FCA US LLC is a North American automaker based in Auburn Hills, Michigan. It designs, manufactures, and sells or distributes vehicles under the Chrysler, Dodge, Jeep®, Ram, FIAT and Alfa Romeo brands, as well as the SRT performance designation. The Company also distributes Mopar and Alfa Romeo parts and accessories. 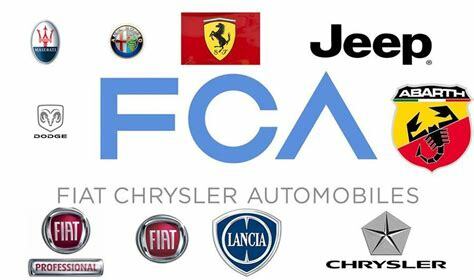 FCA US is building upon the historic foundations of Chrysler Corp., established in 1925 by industry visionary Walter P. Chrysler and Fabbrica Italiana Automobili Torino (F.I.A.T. ), founded in Italy in 1899 by pioneering entrepreneurs, including Giovanni Agnelli. FCA US is a member of the Fiat Chrysler Automobiles N.V. (FCA) family of companies. . The following titles and media identifications are trademarks owned by The Auto Channel, LLC and have been in continuous use since 1987: The Auto Channel, Auto Channel and TACH all have been in continuous use world wide since 1987, in Print, TV, Radio, Home Video, Newsletters, On-line, and other interactive media; all rights are reserved and infringement will be acted upon with force. Send your questions, comments, and suggestions to Editor-in-Chief@theautochannel.com. Submit Company releases or Product News stories to submit@theautochannel.com. Place copy in body of email, NO attachments please. To report errors and other problems with this page, please use this form.